We would like to invite all members to our Annual General Meeting. 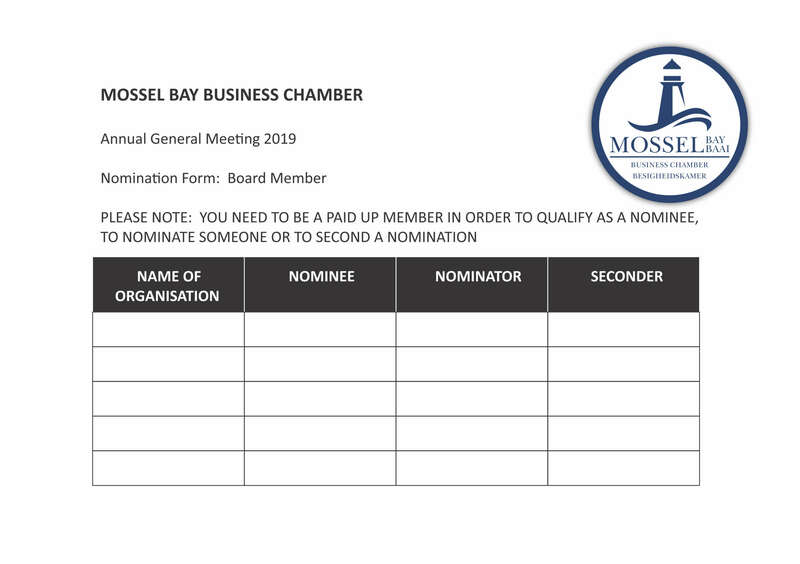 There is form to fill in for members who would like to nominate someone for the Chamber Committee. 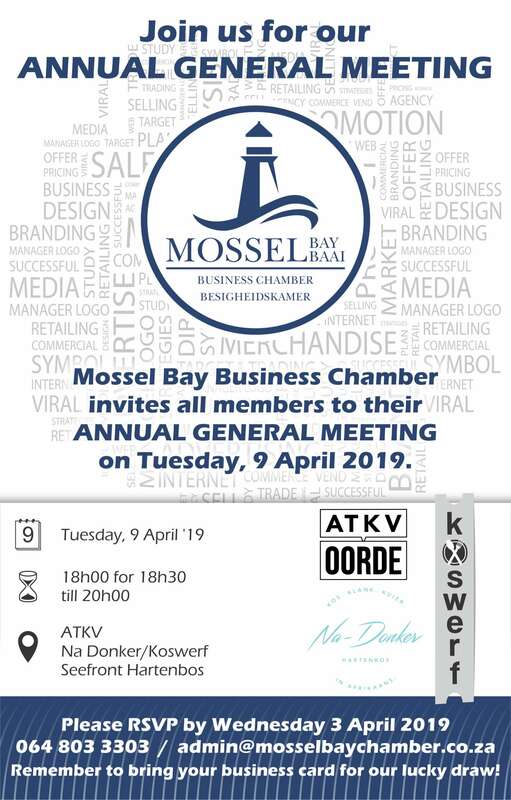 Kindly e-mail the forms to admin@mosselbaychamber.co.za no later than 8th April 2019 at 12:00pm.